Traditionally Te Waipounamu is home to our people. 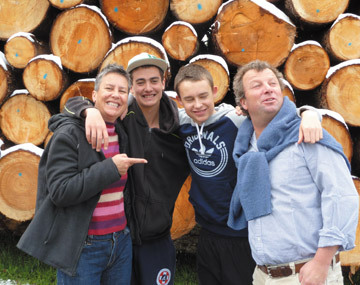 In modern times however Ngāi Tahu whānau have spread widely and become global citizens, living in such faraway places as New York, South America and Switzerland. Ngāi Tahu are as socially and economically diverse as any other culture participating in modern society. We are doctors, lawyers, accountants, nurses, engineers, teachers, artists and labourers. But whatever Ngāi Tahu do or where ever Ngāi Tahu live in the world our culture and a sense of identity goes with us. It binds us to whānau, hapū and iwi and to our home Te Waipounamu, Aotearoa. Joe Briggs first arrived in Tauranga in 1954 as an able seaman aboard the M.V. Kaitangata. The ship was loading forest products bound for Australia. “Most of the waterfront workers were Māori and terrific people, this was my introduction to Tauranga Moana. I stayed as a seaman for a further 20 years or more before I joined the Tauranga Water Sider Union in 1971,” says Joe. Joe has been very active in the Tauranga community serving on marae and hapū committees, sports clubs and community projects. 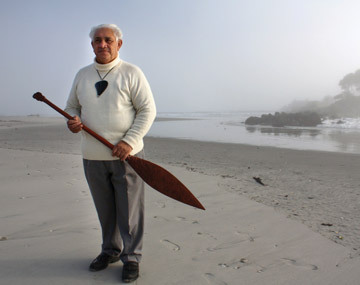 He played a leading role in establishing a Ngāi Tahu taurahere rōpū (regional community) in the town in the late 1990’s which helps local Ngāi Tahu whānau connect with their culture and traditions. Joe has been chairman and secretary over the years and the group has remained active and engaged in tribal affairs. A career in film and television has taken Ila Couch all over the world. 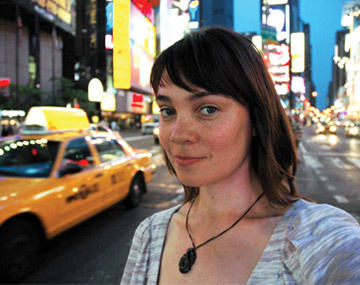 In May 1997 the freelance director left Auckland, where she was born, bound for America. a time working on projects. Kāi Tahutaka,” says Juliet Tainui-Hernandez. 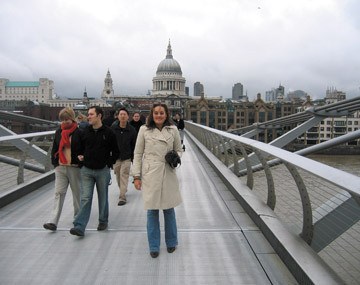 After 12 years overseas, 10 of those living in London, New Zealand is still very much in the heart and mind of Juliet, who works as a lawyer. “I came to the UK by myself in 2002, met my husband Javier Hernandez, from Puerto Rico, and now we have our little guy, Oscar Poutini Tainui-Hernandez, who is almost one year old,” says Juliet. Rosemarie ‘Rosie’ Manahi Sanden, is two days of train rides, four flights, a car ride, and many hours of transit away from home. Ariana has two younger sisters, Amai (7) and Aloeet (5). 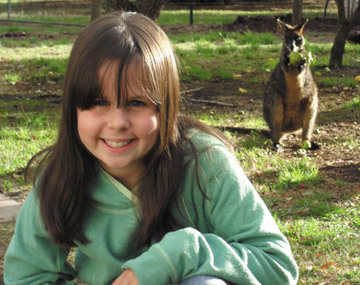 They live on a 40 acre property with their parents Michelle and Murray in Gazette, Victoria and attend Tarrington Lutheran School where Ariana is school captain. 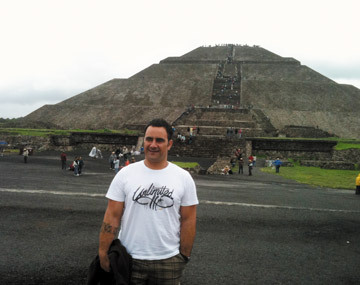 From Invercargill to Mexico City, Tamaha MacDonald is living his dream. “I played NPC rugby for Counties Manukau and Marlborough. I am a full-time rugby coach at the Black Thunder Club, Mexico City and the assistant coach for the Mexico National Team and Mexico U19 Team. I never in my life thought I would be living my dream,” he says. 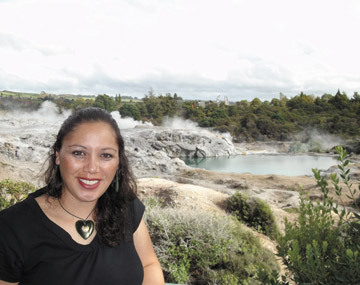 The bonds of whānau mean Rotorua is home to Manuariki Tini. Te Arawa. And as the saying goes, the rest is history,” says Manuariki. Manuariki is married to Ariki Davis (Ngāi Tūāhuriri) and they have four children Mapihi (13), Maria (9), Ariki (1) and baby Kereti. For Rachel Treloar doing her own thing has meant moving to Trouillas, France and buying an old vineyard. 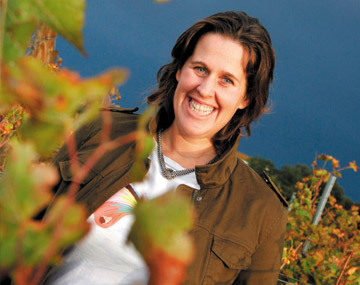 Rachel and her British husband Jonathan decided they needed a change – he enrolled at Lincoln University, gained a Viticulture and Oenology degree with Distinction and worked at Neudorf vineyards as assistant winemaker before they moved to France in 2005. The couple have two daughters Lydia Hinetahi (11) and Isabella Maia (7) and Jonathon’s mother, Sybil lives with them for about four to six months of the year helping out with the children when the grapes are busy.